Bios You may use these bios as presented here for promotional purposes of events involving Liam. Any edits or changes must be cleared with Liam before publication. 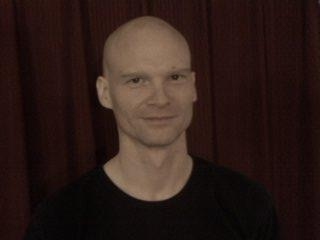 Instruction: Liam LeFey has been an aerialist since 2000, and has been teaching since 2006. He brings a deep understanding of both the mechanics and artistry of aerial arts to his instruction. He has taught and coached aerials for many companies and schools, including Aircat Aerial Arts, Circus Smirkus Camp, Frequent Flyers, Aerial Fabric Acrobatics, Aerial Dance over Denver, and Releve Aerial Dance Denver. He brings a deep understanding of both the mechanics and artistry of aerial arts to his instruction. He teaches and coaches all ages and experience levels, from beginners to award-winning professional aerialists. He has traveled around the country teaching workshops and mentoring other instructors. Combined: Liam LeFey has been a professional dancer and performer for over 20 years, an aerialist for over 15, and has been teaching and coaching aerial for over 8. His professional performance experience includes working with many companies and groups, including Minnesota Dance Theater, the Twin Cities' Metropolitan Ballet, Ethnic Dance Theatre, Third Rabbit Dance Ensemble, Stewart Pimsler Dance & Theater, Kats D & Paneer Project, Frequent Flyers Productions, MOTH Poetic Circus, Fractal Tribe, BRIAH Danse, and more. He has taught and coached aerials for many companies and schools, including Aircat Aerial Arts, Circus Smirkus Camp, Frequent Flyers, Aerial Fabric Acrobatics, Aerial Dance over Denver, and Releve Aerial Dance Denver. He brings a deep understanding of both the mechanics and artistry of aerial arts to his instruction. He teaches and coaches all ages and experience levels, from beginners to award-winning professional aerialists. He has traveled around the country teaching workshops and mentoring other instructors. He is available for travelling to teach workshops and perform. Duet availability is subject to partner availability or training time with a new partner.